What makes Dr. Michels an authority on coconut oil? She is not a physician, or a nutritionist, or even a biologist. Her PhD is in biostatistics. Her specialty is statistics—manipulating numbers—not the study of diet or fats and oils. From her profile on the Harvard website, it appears she has never published any studies on saturated fat, let alone on coconut oil. Her comments were not based on any of her own published research, but were simply her opinion based on old, outdated theories about saturated fats. Dr. Michels makes three general claims: 1) saturated fats cause heart disease, 2) coconut oil is a poison and one of the worst foods we could eat, and 3) there are no studies that show any health benefits to coconut oil. Let’s look at what the science actually says about each of these statements. There has never been a study published that has been able to show that saturated fats or coconut oil cause heart disease. The diet-heart disease hypothesis that has been popular for the past 6 decades basically states that heart disease is caused by high cholesterol. Many studies have shown that some saturated fats can raise blood cholesterol, and therefore it has be assumed that eating too much saturated fat can promote or even cause heart disease. Researchers have been trying to prove this hypothesis for over a half a century without success. In fact, many studies have seriously challenged this hypothesis and serious researchers have now moved on to studying new, more likely, causes for heart disease. The studies are clear, neither saturated fat nor coconut oil cause or even promote heart disease. Because they raise good HDL cholesterol and lower the cholesterol ratio, if anything, they help to protect against it. Dr. Michels calls coconut oil a “pure poison.” She claims it is not just a poison, but a “pure” poison; the connotation is, that it is extremely dangerous at even the smallest dosage. What is a poison? According to the English Oxford Living Dictionary, poison is defined as, “A substance that is capable of causing the illness or death of a living organism when introduced or absorbed.” Does coconut oil fit this definition? Not hardly. 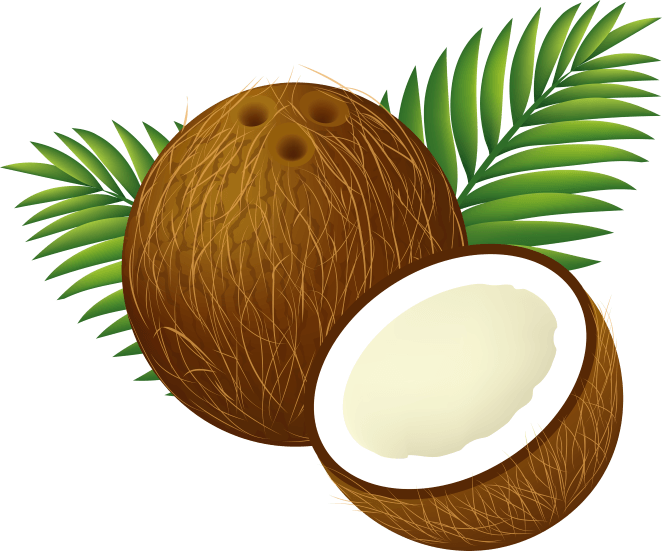 Coconut oil has been a major part of the diet of millions of people for thousands of years. In all that time it has never been known to cause any illness or kill anyone. On the contrary, there are many plants that are poisonous such as hemlock, belladonna (deadly nightshade), and death cap mushrooms. Consuming any of them, even in small amounts, will bring about sudden illness and quick death. Coconut oil, on the other hand, can be consumed daily in relatively large quantities without any ill effect. I know some people who consume as much as 12 tablespoons (180 ml) a day and are in excellent health. It is ironic that Dr. Michels calls coconut oil a poison, because it has proven to be not only harmless, but highly effective in saving the lives of people who have ingested actual poisons. The medical literature has described numerous instances in which coconut oil has been used in hospital settings as an antidote to otherwise fatal poisonings. For instance, the use of coconut oil has become a routine practice in some hospitals in the treatment of aluminum phosphide poisoning.8 Aluminum phosphide is a common poison used for rodent control. There is no other known antidote and poisonings are almost always fatal unless treated with coconut oil. Calling coconut oil a pure poison only illustrates Dr. Michels’ lack of knowledge about coconut oil, which makes anything she says about it totally unreliable. One of the most common arguments given in an attempt to discredit coconut oil is to claim that there is no evidence proving coconut oil has any health benefits. When a doctor or professor makes this statement, he or she is inferring that there are no studies to support the use of coconut oil as a healthy fat. They are counting on the listener to take their word on this simply because they are considered an expert. In reality, what they are doing is exposing their own ignorance and lack of knowledge on the subject. When someone makes this type of statement it means they have not bothered to make even the slightest effort to find the facts. If they had, they would have found an abundance of information and research on coconut oil describing its many health benefits. Currently, there are over 10,000 studies on coconut oil listed in the medical literature. Most of these studies can be easily accessed on the internet. If you go to my website,www.coconutresearchcenter.org and look under the heading “Medical Research,” you will find a listing of hundreds of studies. Here you will find references to an abundance of published studies showing the therapeutic or beneficial effects of coconut oil on cardiovascular health, immune function, cancer, diabetes, liver and kidney health, digestive function, weight management, and much more. To say that there is no evidence for the health benefits of coconut oil is totally wrong and indicates that the speaker is either woefully ignorant, too lazy to do any research, or lying. If you want to know the truth about saturated fats and coconut oil you should not listen to professors who have no idea what they are talking about, instead listen to researchers who have actually researched the topic. One of the reasons why Dr. Michels’ comments received such notoriety is because of her association with Harvard. Being a Harvard professor gives a person some air of authority. However, there are other Harvard professors who are far more qualified than Dr. Michels on this subject, who have studied and published works on the health effects of coconut oil. One group of Harvard researchers that includes George L. Blackburn, MD, PhD, Edward Mascioli, MD, and Vigan K. Babyan, PhD state, “Coconut oil has an important medical role to play in nutrition, metabolism, and health care. Indeed, properly formulated and utilized, coconut oil may be the preferred vegetable oil in our diet and the special hospital foods used promoting patient recovery.” These researchers made this statement after having spent years studying the health effects of coconut oil and other fats. Their comments hold far more authority than a biostatistician who apparently has never even bothered to do even an internet search on the subject. Praagman, J, et al. The association between dietary saturated fatty acids and ischemic heart disease depends on the type and source of fatty acid in the European Prospective Investigation into Cancer and Nutrition-Netherlands cohort. Am J Clin Nutr 2016;103:356-365.